Looking for a less expensive Shakeology alternative? I have compiled my personal favorite Shakeology alternatives that are comparable in ingredients to Shakeology, but cost a lot less. Beachbody’s 21 Day Fix has taken the fitness world by storm. One thing they really push is their Shakeology protein shakes that are packed with superfoods and vitamins. They really are an important addition to your workout and diet regimen, however, many people are turned off by the high cost of Shakeology. 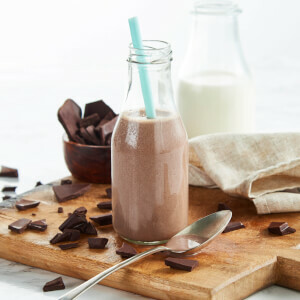 I have compiled a list of my personal favorite Shakeology alternative shake options that carry the same type of benefits as Shakeologoy, but without the price tag. I found that following the 21 Day Fix diet plan really helps with my weight loss. Simply working out and not changing your diet will not yield the same results. 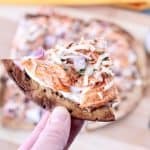 I incorporate 21 Day Fix recipes like my favorite 21 Day Fix pizza recipe and this 21 Day Fix ranch dressing, along with substituting some meals with a protein shake. I just can’t bring myself to pay the high price of Shakeology so I did a lot of research and taste testing to find the best Shakeology alternative that is comparable in nutritional benefits. I have negotiated an exclusive Exante discount for my readers too! Use Exante coupon code MUSTHAVEMOM35 to save for 35% off meal replacements (individuals and boxes of 7)! Code expires 12/31/19. If you choose the Exante 2 or 4 week plans you can also use Exante discount code MUSTHAVEMOM5 for an additional 5% off (stack with the other code). The 5% discount expires 3/31/19. At just $0.91 per serving, Vega offers a lot of punch for the price. Plus, if you order it on Amazon you can clip the online coupon when ordering your first container and save 20%. Vega carries a big advantage over other Shakeology alternatives in that it is certified Non-GMO, which the others are not. At just 6 grams of total carbohydrates and 2 grams of sugar, it also beats out Shakeology and others. All five of these Shakeology alternatives are great options. They each carry different benefits and are all comparable to Shaekology’s protein shakes. Adding a protein shake to your diet and exercise routine can improve your results. I have found it to drastically improve my overall results and reduce the number of calories I eat in a day. Give them a try and see which less expensive Shakeology alternative is your favorite. I’d love to hear which one you like best so leave me a comment and tell me! 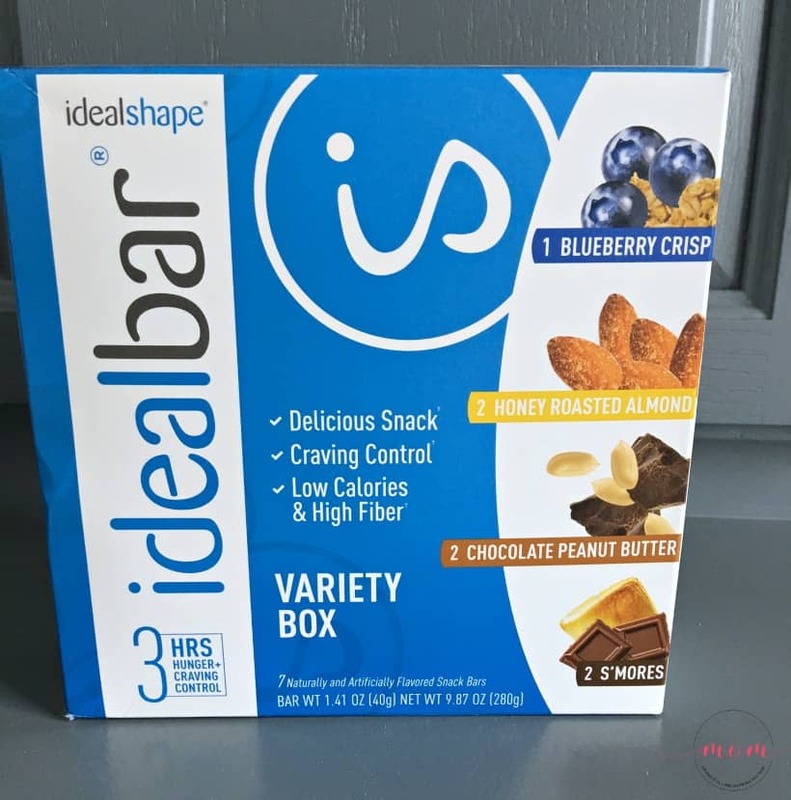 Another quick tip I have to help you achieve better results from your workout and diet plan is to add protein bars in place of unhealthy snacks. 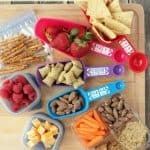 Snacking can be a big downfall in following a healthy diet, but choosing the right snacks can set you up for success. 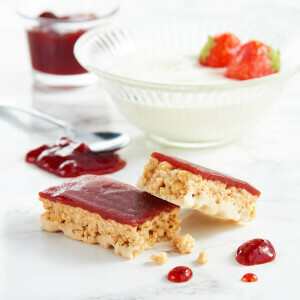 Try one of these Weight Watchers 1 point snacks for a healthy snack or add a protein bar. Exante has a great variety of protein bars and snacks. With a great variety of flavors, such as toffee, nut & raisin or strawberry jam and yogurt, there are plenty to choose from! They are tasty too! Replace up to 3 of your usual meals a day with Exante meal replacements, all enriched with over 22 vitamins and minerals, are high in protein and rich in fiber. With just 200 calories per serving, Exante can help you reach your body’s recommended daily intake of essential nutrients to achieve fast effective weight loss. I hope this breakdown of less expensive Shaekology alternatives helps you find a protein product that you can afford and that will help you reach your health and fitness goals. Leave me a comment and tell me which one is your favorite! Thank you for this. I stopped using Shakeology because of the cost (and also the amount of sugar in it). I’m looking into these alternatives now. Can’t thank you enough. I have been a Beachbody Coach before and used Shakeology, but the price is just to much for me. I liked it, but it didn’t like me. There are many many alternatives to Shakeology that are just as good, and some way better. I have tried, and used many different products, like Isagenix, Shakeology, It Works, Plexus, Thrive, and more.. and all of them have their good and bad points, but for me the worst point for them all is the cost. Vega One is great!! I also like Organic. I haven’t tried the others on your list. Herbalife is also good, and lower cost than most of the “direct sales” ones. Thanks for your input! We like the Vega One and Organic as well. I haven’t tried Herbalife yet. You refer to Shakeology as a protein shake. It’s not. If Shakeology is a meal replacement, why are we often advised to add fruit or veggies to it? The shake on its own does not leave me feeling full and satisfied as a meal would leave me feeling. In order to get the shake to act as a meal replacement, I have to add to it, which in turn adds to the price of it! Just my two cents. I have totally been thinking this for the past 3 months while taking shako! I actually think the Vega One or essentials would be a better alternative to shakeology because shakeology is meant to be a meal replacement and is Not a protein shake where the Vega product you referenced, the Protein and Greens, Is a protein shake but Not a meal replacement. I can’t speak to the other products you discussed but as someone who regularly drinks the Protein and Greens I can tell you it doesn’t fill you up so as a stand alone drink its not suitable for replacing a meal. I was wondering if the Advantage Lean 15 protein powder is ok. I haven’t tasted this powder before, but the reviews on the taste are not great. Many people say they don’t like the taste. It has 15g of protein and only 1g of sugar which is good though. I think it will come down to if you like the taste or not. Vega also has protein snack bars that are comparable to Beach Body bars. Except the are way cheaper and available at Sam’s Club, a big plus for me. Shakeo is NOT a protein shake nor a meal replacement. I haven’t looked into the TLS slim shakes. I’ll have to give them a try! Thanks for the recommendation. Exactly what I was going to say. The NUMBER 2 ingredient on MOST of these other shakes is ORGANIC CANE SUGAR!! That means MOST of the product is SUGAR!! You can say what you will but Shakeology is full of the best superfoods on the planet! You are paying for HIGH QUALITY ingredients and they are sourced different than here on the USA so you they retain MORE of their nutrients! It’s WORTH EVERY PENNY! Oh let me guess, are you one of those silly “coaches” that Beachbody “hires?” Come on, you sound like the biggest fanboy/girl with your biased statements. The whole “coach” concept behind Beachbody is one of the most comical things I’ve read in a while. Yeah…but the number two ingredient in the shakes she listed isn’t cane sugar. It sounds like you’re copy/pasting BeachBody pep talk ads. There are people around who want to reap the benefits of a healthy, decent shake without forgoing their mortgage payment. To assume there are no alternative options is blindly buying into what a corporation is telling you. A shake isn’t as complicated as BeachBody would like you to believe. Shakeology is easily replaced. You can even make your own formula at home if you want to put the effort into it. To assume that BeachBody doesn’t ramp the price up on Shakeology because it’s got a label behind it is, frankly put, naive and comical. You are paying for BeachBody in the same you pay for brand-name clothing. It’s absurd to believe it isn’t possible to feed yourself a nutritional shake for less than $4.33 per serving, just like it’s absurd to believe you must pay $60 for a tee-shirt to look attractive. You can feed four people for the cost of one Shakeology meal. You can clothe four kids for the cost of one $60 tee-shirt. If you have the money to waste on the label, that is awesome. Good for you. But many of us DON’T, and being told there are no alternatives and that we absolutely cannot get the same results without Skakeology gives the impression that we’re wasting our time with the AMAZING workout programs that BeachBody does offer. They do have AWESOME programs that are spelled out for you like none other. I am a huge fan, and without them, I would probably would not workout at all. I wish BeachBody would stop with this Skakeology hype. I believe many customers would feel much less defeated if they were given alternatives solutions to Shakeology by their coaches, because that product is well-beyond the wallet of the majority of Americans. Help us out, BeachBody! 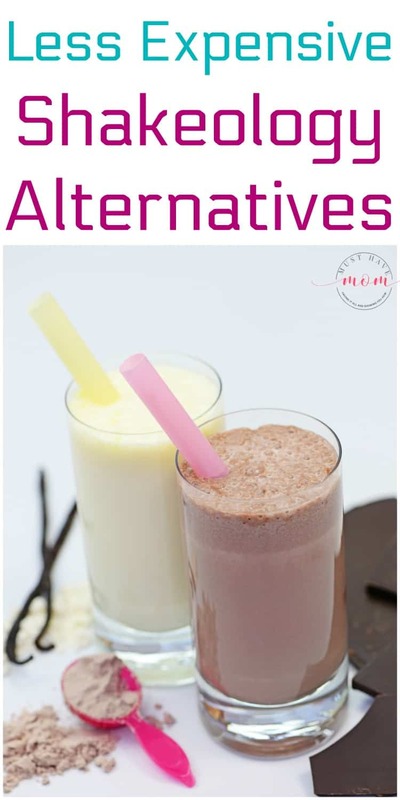 Give us alternatives to your shake. Your loyal Shakeology customers will still buy your stuff, and those of us who can’t will take your advice and still buy your programs. Yes!!!!! Thank you! I agree with you wholeheartedly! I love the diversity of Beachbody workout programs, and I am on my way to my goal because of them, but I just can’t justify paying $120 a month for my shakes when I have 4 children to feed and clothe. I am looking forward to trying out the shakes that are listed here. 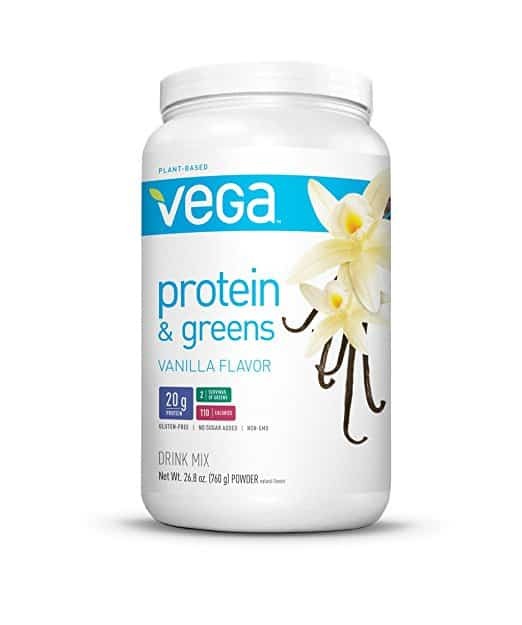 I have been using Vega Protein and Greens for the past month and it’s just not “chocolately” enough for me. Thanks for this research, I appreciate your hard work. I have yet to find a shake that I like so I’m looking into some of these. I am also looking for my son who is very active in sports. I know that it’s hard to put your information out there and so many people have such strong opinions so I just want to say thanks. I also like the way your blog is set up. Have a great day. Awe thank you so much for the feedback!! I used Shaeko a few years ago. Until then, the chocolate Shakeo was the ONLY health drink/meal replacement that I actually liked..but the price..I just couldn’t! About a month ago, I decided to try (again) to find a replacement for Shakeo. I typed in Shakeology in Amazon’s search and started scrolling. I ended up with Nature’s Bounty Protein and Vitamin shake…it had great reviews and was a fraction of the cost. To me, it tastes, 100% like the chocolate Shakeology. I was glad to see it made her list of alternatives, and I’ll be using this product going forward. That’s great to hear Amanda! I agree that the Nature’s Bounty tastes amazing! I thought the vanilla was fantastic too if you haven’t tried that one yet. Thanks for sharing your opinion so others can benefit from your experience. I am very excited to see this, as I also loved the taste of the chocolate shakeology. I can’t wait to try this! 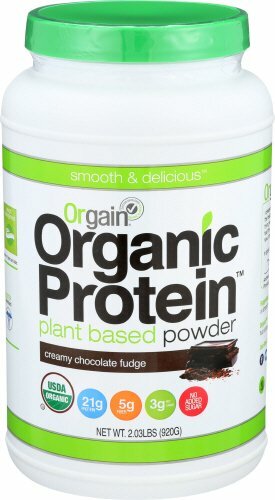 My 15 year old son loves the Orgain Chocolate fudge mentioned here. It is delicious and plant based (whey can cause acne in teens). He’s also an athlete but us type 1 diabetic so this makes him feel like he’s not missing out on treats. I love it as well, and with unsweetened vanilla almond milk, banana and peanut butter, it is very healthy and delicious. That’s great to hear! I also love combining almond milk, banana and peanut butter with mine. So good! Thanks for sharing your feedback with us! What is your take on Spiru-Tein? I really like it because it does not taste chalky and the price is reasonable. I love all the added benefits like the protein and vitamins. Your feedback would be greatly appreciated! Spiru-Tein looks like a good alternative. It is made with non-GMO protein which is great. The sugar content is a bit high at 8g and protein is 14g which is average. I think it’s a reasonably priced alternative! It appears there are two different varieties. The one that I purchased and tried says “well-rounded nutrition” on it. I hope that helps! Costco carries the Vega and Orgain brands! Thank you for the great post! I had been using Vega since stopping Shakeology, but now after your review, I am going to try Nature’s Bounty. I can’t wait to try it! Thank you again! Up front, I am a coach for the discount only. I’m pretty sure if you publish the actual nutrition labels of these products, you will see why Shakeology is more expensive. It’s pretty misleading to publish a very limited & general overview of these products & say they are comparable. Give us labels side by side & let’s see how they compare. Again, I do not actively sell any B.B. products; however, I think it should be mentioned that, #1 – Shakeology is not a protein shake #2 – there was no mention of all whole food ingredients & use of artificial ingredients in others, etc. I think if you are truly comparing, more research has to be done to actually be accurate. I completely agree with you Angela. I have tried about 4 or 5 different shakes because of the cost of Shakeology and honestly I do not like any of them near as good as I like Shakeology. And when you compare the ingredients, you are getting what you pay for. I may try the Nature’s Bounty and just see, but I mean even it if tastes very similar to Shakeology it is not going to be anywhere near as good for you. It does kill me to pay that price of Shakeology though. Thank you for your research with this. I don’t like the aftertaste of artificial sweeteners and stevia. Do these alternatives have either? The one thing I want to know about all the shakes you recommend is which one keeps you full the longest. The one thing shakeology did for me was to keep me full until lunch time. I’m looking for something that can do that. I saw this post on Pinterest a few weeks ago and I decided to order the Nature’s Bounty Complete Protein & Vitamin Shake Mix. I too used to drink Shakeology, but I was always trying to figure out how to afford it and going for long stretches without it because of price. I loved the product, not the price. So, the bar was set pretty high for a Shakeology alternative. Some things that really drew me to to the Nature’s Bounty brand were all the probiotics and viatamins, including the B vitamins and Vitamin D, which my doctor recently recommended, as well as the only 2 grams of sugar per serving. (And no artificial sweeteners, not even stevia.) Now that I have the product, I actually think I like the taste (I ordered chocolate) even more than Shakeology. 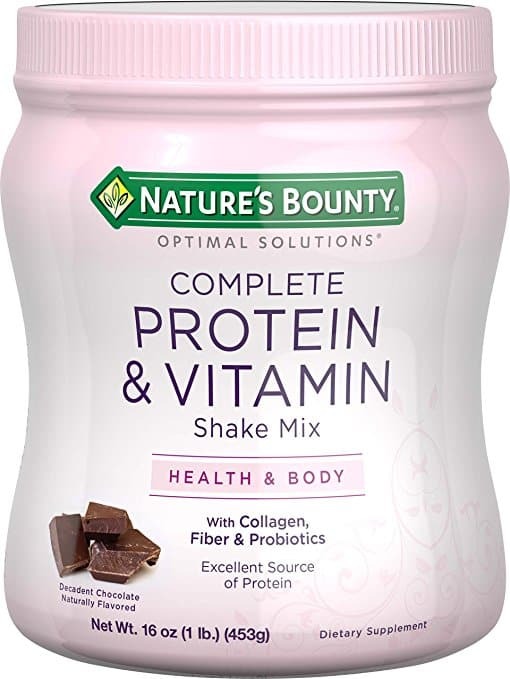 I have been very happy with the Nature’s Bounty Complete Protein & Vitamin shake. I find my cravings are not as bad, but I have also changed my diet where I am eating more healthy foods, which will also naturally reduce cravings. Thanks for this post! It did a lot of the research for me! It sounds like others have had good luck with some of these products. Nature’s Bounty was my personal favorite in terms of taste as well! It’s so yummy. Thanks for sharing your personal experience with all of us! I’m glad to hear the information was useful for you! This brand contains SOY. You’re better off with anything else. 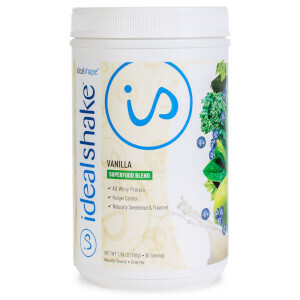 I switched to Ideal Shake products and they taste great to me. I use unsweetened Almond milk and ice. You can still make mug cakes and other things with them like Shakeo recipes. The cost is great and their other products are cheaper too. I use BCAA’s (recovery drink) from Ideal Lean (sister company). There’s almost always a special on at least once product so I stock up then and save even more. Thanks for sharing your experience! That’s great to know that it works in Shakeo recipes too. I’m sorry but I’ve yet to find a shake that is close to shakeo. 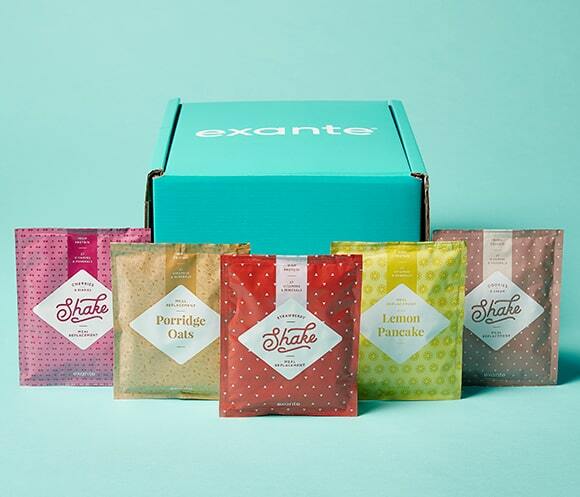 Exante contains soy and a whopping 14g of sugar! Soy leads to cancer, blocks thyroid function and causes a slew of health issues. Idealshake and a few others contain sucralose which is detrimental to weight loss and causes migraines in many people. Vega and orgain are like sucking Chalk. Orgain has an Organic Protein and Superfood Shake. I buy it at Costco. It costs a couple dollars more than the protein shake but is still way less than Shakeology. Costco only sells the super food one in vanilla, but it tastes way better than Vega in my opinion. Oh good tips, thanks for sharing! 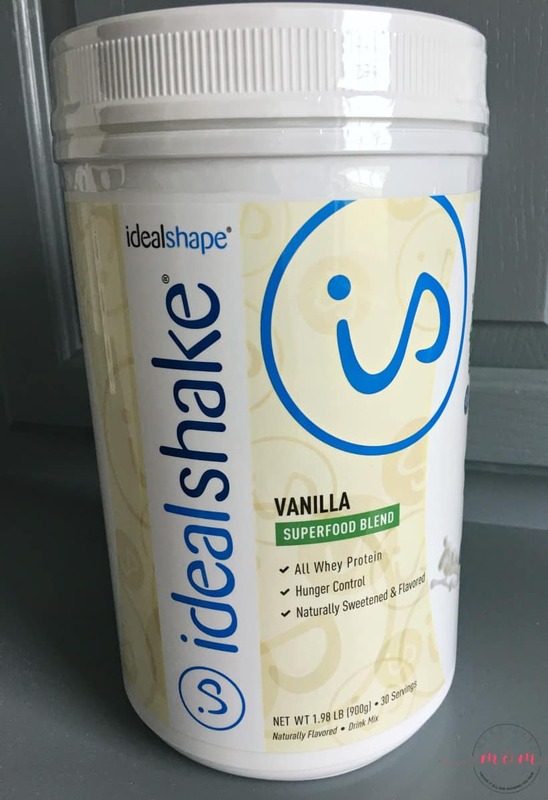 Can someone please let me know which shake provides the most sustainable energy and that feeling of fullness as a meal replacement? My husband and I have been drinking Thrive shakes for the past 3 years and didn’t realize sucralose was an ingredient! Guess we’re not very good label readers or were just ignorant to the fact because we’ve felt so much better and can tell a difference on the days we don’t use. I was diagnosed with Hashimoto’s disease due to thyroid problems so I’ve eliminated gluten from my diet and try to watch soy content. Thrive says gluten free but not certified. We’re basically addicted to whatever Thrive puts in its shakes, I’m guessing the black tea extract, and can’t seem to find another shake that gives us that boost of energy without the jittery feeling. (haven’t tried the ones mentioned above) I’m not real concerned about taste because of the fruits and veggies that we mix with our morning shake. Need a recommendation please! I would go with the Orgain organic shakes in your case. It has clean, organic ingredients and is also gluten free and soy free. It’s my hubby’s favorite shake. I appreciate this post. I’m doing research before starting beach body. Because, the cost of Shakeology, honestly has me turned off to the whole program. If Shakeology isn’t a meal replacement or protein shake, what purpose does it serve? I’m new so I don’t know. Thank you! You’re welcome and I’m glad you found this information helpful. You definitely don’t need to do Shakeology to successfully do the Beachbody program. Both my husband and I have had great success with Beachbody workouts and using other shakes. You can use the shakes as a meal replacement in place of breakfast or a snack and is a great post-workout drink to help build muscle. Good luck with it!! I’ve been using Vega Sport Premium Protein (chocolate and vanilla) and have been very happy with it as an alternative to Shakeology. I agree that Shakeology is extremely expensive. I’ve been a Beachbody customer for over 6 years and have seen great results using their exercise programs completely without Shakeology! Thanks so much for sharing your personal experience. It is always helpful to see what others think of the products and how they work for them. I agree that Vega doesn’t taste as good as Shakeology. I want to sample all these alternatives 😉 Vega does have a sample pack which is a terrific option for those who just want to give one shake a try. I ordered one online, but I’ve also found them in Target. Is it do-able to try Beachboy even when you have a family who is not participating? Thanks for the feedback about Vega! It is definitely doable to do Beachbody even if your family isn’t! Both my husband and I have done it without participation from the rest of the family. There have been times that just one of us is doing it and not the other. Totally doable! Thanks for the recommendation! I bought the chocolate and vanilla. So far I’ve tried the chocolate and it’s delicious. I buy Shakeology and have been looking for another more inexpensive option and this seems perfect so far. Nature’s Bounty is the one I bought! Oh I’m so glad to hear you like the chocolate. The vanilla was my fave! They are both tasty. Glad this article helped you find an alternative that works for you. My favorite is called MRM Veggie Protein. You can find it lots of places online and in Natural Grocer stores. 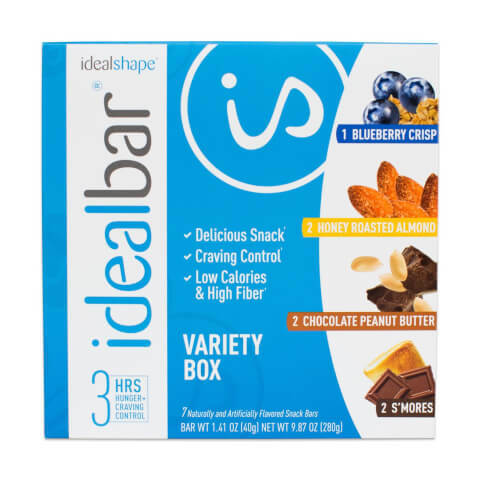 It’s about $23-30 a container depending on where you get it, and there are 30 servings. It’s pea, hemp, and brown rice protein. Vegan, 1.5 g added sugars, 22g of protein. Uses stevia as sweetener. I think there’s chocolate and vanilla: I like the vanilla with a bit of peanut powder added! It does have a bit of a “green” flavor and it’s not silky smooth because it’s plant-based, but it’s not what would call grainy. 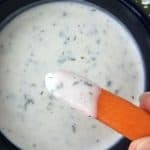 There are chia seeds in it so it thickens up to a nice consistency. It keeps you full for a long time, too. I’ve also tried the Organix. I thought it was ok.
I’m using Aldi brand vanilla whey protein right now because I ran out of the MRM and haven’t gotten around to ordering more. It’s ok in a pinch. It makes good protein waffles, but I don’t like the sweetener it uses as much and also feel better using vegan protein blends. This is great info. Thanks so much for sharing your favorite with us! Are any of these stevia and soy free? I am working on a post with organic options and will try to include some stevia and soy free options as well!